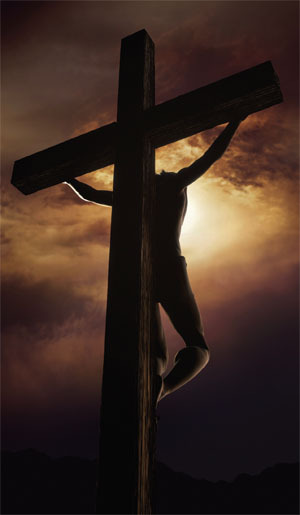 Have you ever wondered what is good about Good Friday? How can the things that happened on that day and the horrors of Christ’s suffering be good? How can it be good that he was falsely accused and wrongly condemned and unjustly crucified? What is good about that? It seems “Horrible Friday” would be a better designation. Go back to the beginning, when God created the heavens and the earth. He did so with power and perfection, and the creation account repeats, “God saw that it was good.” When his creation was finished God saw everything he had made said it was very good. Then something horrible happened. The man and woman God created rebelled against him in an act of treachery perpetrated by the deceptive schemes of Satan. The creation God made was marred and scarred with the result that the man and woman were barred from fellowship with God. But God did not abandon his creation; he did not give up and walk away from the man and woman he created. No. He promised to fix the problem, even though the fix would be costly and painful. When God created the heavens and the earth he just spoke it all into existence. But fixing what was broken would not be that easy. To do so, God became a man in the person of Jesus Christ, born of the virgin Mary. He was a perfect sinless man who was God. It was this God-Man who willingly went to the cross, who became sin for sinners, who suffered in the place of sinners, who paid the debt in full. He did not deserve it, so from a human perspective his suffering was unjust. But we did deserve it. So Jesus took on himself what we deserved so we could go free. From the cross with the last breaths he had within him, Jesus cried out, “It is finished!” Just like God finished his original work of creation and declared it to be good, so now Jesus finished the work of redemption. “It is finished” meant the work was done and the work was good, in fact, it was very good. Forgiveness for sin, salvation from hell, and reconciliation to God were now available to any and all humble enough to receive these gracious gifts. That is what is good about Good Friday. This entry was posted in Uncategorized and tagged Easter, Good Friday, Gospel, Jesus Christ, the cross. Bookmark the permalink.